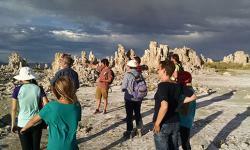 Sunset South Tufa Tours in Lee Vining, California, USA welcomes you on a fascinating sunset walk with naturalist guide over just an hour, it is a great activity for kids and all ages. 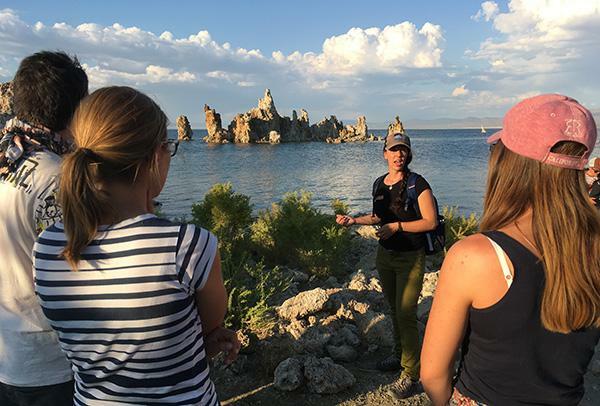 This sunset walk takes you among strange tufa towers and bubbling springs, enjoy the wildlife, the birds and brine shrimp, and learn the behind the scenes story of the most unusual lake in California. 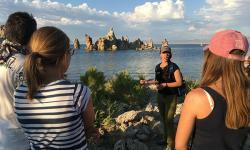 Sunset South Tufa Tours will share with you the stories about efforts to protect this million year old lake, and about the unusual natural history, it's not to be missed.